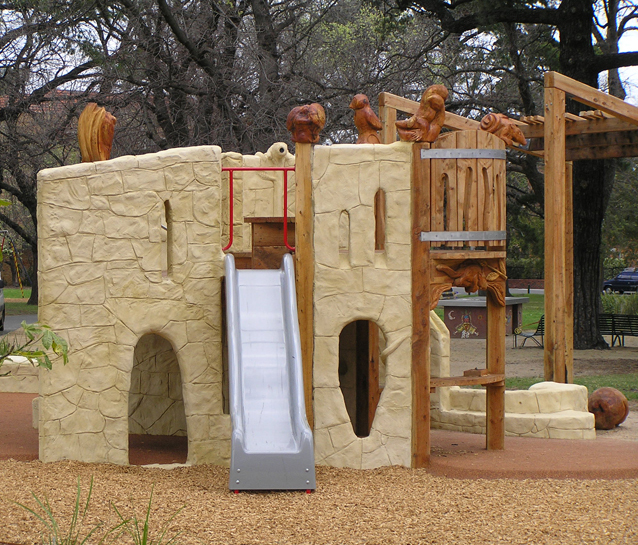 In 2004 The City of Port Phillip commissioned Jeavons Landscape Architects to prepare a masterplan for Alma Park East. The plan identified better play facilities for young children as a priority and proposed an organic structure to complement the existing ‘sculptural play slug’, plus an arbour and informal seating area. 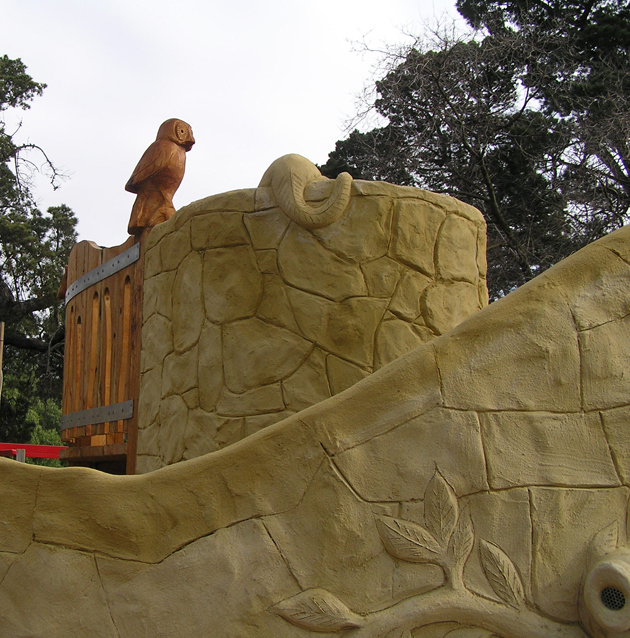 The new playground landscape is designed for physical, social and creative play, as a focal point and meeting place, and as a sculptural feature within the park. The new play structure forms a castle/cubby with a curving staircase, windows, shop counter, tunnel, ledges, animals banister groove for sliding toys down. The ground level is surfaced with rubber and has been designed to allow wheelchair access inside. 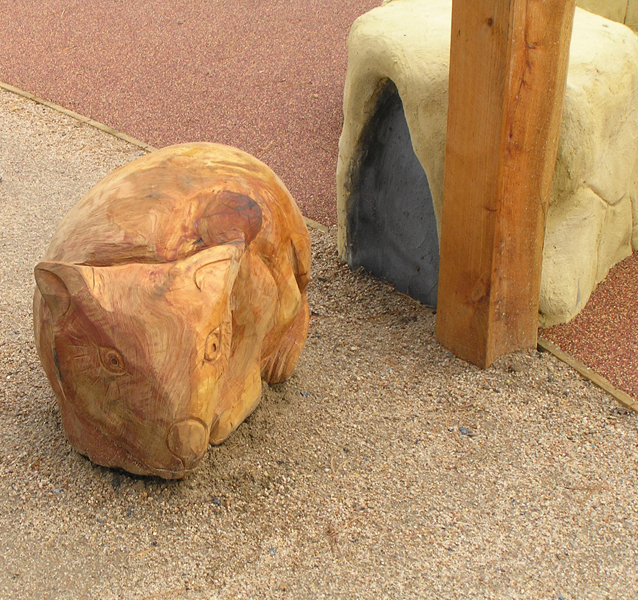 The animal sculptures feature a range of mammals, and birds that might have inhabited this site prior to European settlement and urban development. These sculptures range from the more familiar Common Wombat and Black Swamp Wallaby through to the Eastern long necked turtle and the phascogale bird. These creative sculptures provide a context for imaginative thought and play as well as a strong sense of place to the landscape. The ‘castle’ is sited on an existing path junction and is linked to the existing slug by its location along the one linear footpath. Sculpted benches define the path junction and the structure is further tied into the site by the dramatic curved pergola which straddles the path. 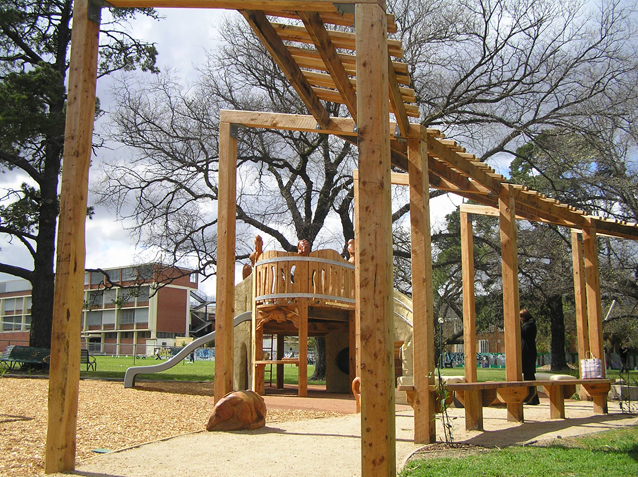 The whole playground is nestled below a canopy of mature trees. 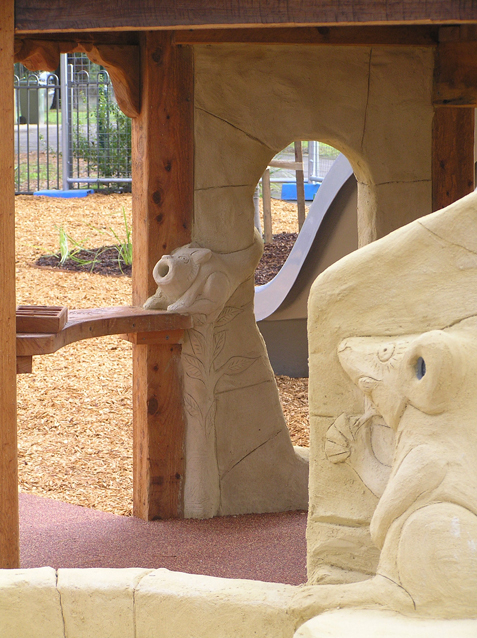 This playground provides a special experience for children through stimulating imaginative and social play, and with its magical character, creating memories and feelings about a unique place for years to come.